Dr. Jeffrey M. Jacobson offers BOTOX® Cosmetic, JUVÉDERM®, JUVÉDERM® VOLUMA XC and fat transfer treatments to enhance your appearance. He can also use injectables to perform ear lobe rejuvenation, restoring volume that has been lost with aging or years of wearing heavy jewelry. 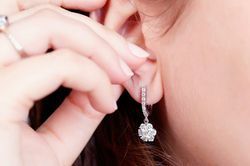 Heavy jewelry and the natural aging process can cause the ear lobes to lose volume and elasticity, resulting in an aged look. Dr. Jacobson can non-surgically rejuvenate the ear lobes using injectable treatments. For patients who have suffered a torn lobe due to an earring or other trauma, Dr. Jacobson can surgically repair the area. In some cases, dermal fillers are used to complement a surgical procedure for optimal results. Like the neck and face, our hands are often one of the first areas to show signs of aging. Dr. Jacobson uses minimally invasive methods to address common concerns like sun spots and wrinkling. Laser resurfacing, for example, can even out skin tone and fat transfer can restore a plump, youthful appearance. Dr. Jacobson offers breast augmentation with implants to increase the size of your breasts and help you achieve the figure you desire. When planning your procedure, he will help you decide between silicone and saline implants and choose the size and type of implant that will best achieve your aesthetic goals. Women whose breasts have begun to sag can turn to Dr. Jacobson for breast lift surgery to restore perkiness and a more youthful shape. Also known as mastopexy, a breast lift procedure can reverse the effects of pregnancy, breastfeeding, and aging by removing excess skin and lifting breast tissue to achieve a rejuvenated look. Overly large breasts can not only affect a woman's confidence, but also cause physical discomfort. For patients who wish to reduce the size of their breasts, Dr. Jacobson offers breast reduction surgery to remove fat, tissue, and skin from the breasts to create a natural-looking, better proportioned breasts. Many women undergo breast removal, or mastectomy, as part of their treatment for breast cancer. Breast reconstruction surgery is designed to help patients restore their figure and sense of femininity after mastectomy. Women seeking breast reconstruction can turn to Westchester, NY-area surgeon Jeffrey M. Jacobson, M.D. to achieve beautiful, natural-looking results. Gynecomastia is a condition in which a man's normally small amount of breast tissue becomes overdeveloped. If you have gynecomastia, Dr Jacobson can surgically remove excess tissue to correct this condition and enhance your appearance. Tummy tuck surgery, also called abdominoplasty, can remove unwanted fat and skin from the stomach and tighten the underlying abdominal muscles to create a more toned and attractive look. Dr. Jacobson will customize your procedure to address your unique needs and achieve the smooth contours that you desire. Liposuction allows Dr. Jacobson to remove stubborn, unwanted pockets of fat that patients have been unable to eliminate through diet and exercise alone. This body sculpting procedure can be performed on its own or as part of a comprehensive cosmetic treatment plan for overall body enhancement. For some cases, SmartLipo® can be used. 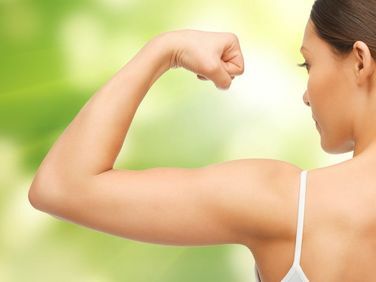 Brachioplasty, or arm lift surgery, can improve the appearance of the upper arms by trimming away loose, hanging skin and removing stubborn deposits of fat. Dr. Jacobson performs this procedure for patients who have recently lost significant weight through diet and exercise or bariatric surgery. As we age, the thighs can become one of the most difficult areas to tone through diet and exercise alone. During a medial thigh lift procedure, Dr. Jacobson will remove stubborn fatty deposits to improve the appearance of your upper legs. Blepharoplasty, or eyelid surgery, is accomplished by removing deposits of fat and excess skin from the upper or lower eyelids. This procedure can help patients look more youthful and alert. Facelift surgery can dramatically reduce the signs of aging. During this procedure, Dr. Jacobson can remove excess skin, and gently lift and rejuvenate the face. This reduces visible facial wrinkles, lines, and jowls to restore definition and create a more youthful look. Dr. Jacobson works with neck lift patients to develop customized treatment plans. 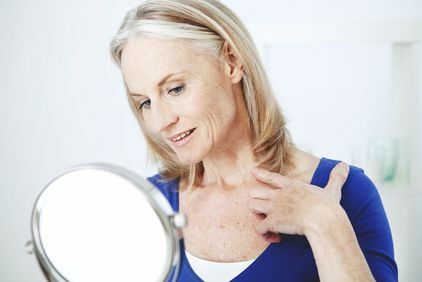 Treatment can involve the removal of fat and excess skin from the neck area, as well as the tightening of skin and underlying tissues to achieve a more youthful appearance. Since each patient has different needs, each neck lift procedure is unique. As we get older, our foreheads often develop deep wrinkles and lines because of the frequent movements of the underlying muscles. A brow lift can reduce the appearance of these lines by tightening the skin and underlying tissue for a more youthful look. Laser therapy offers a noninvasive, yet effective way to address a variety of aesthetic concerns. Many of our patients choose to undergo laser resurfacing to improve the effects of sun damage, including hyperpigmentation and other signs of aging. Our Fraxel® Restore DUAL Laser and Vbeam Laser can be used to rejuvenate the face, chest, hands, and other areas of the body. 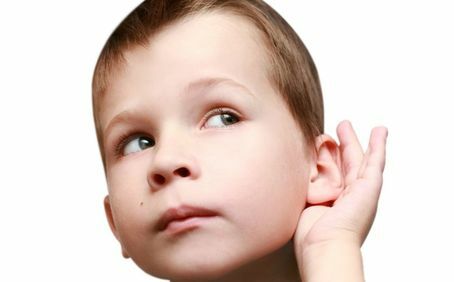 If you feel self-conscious about the appearance of your ears, otoplasty (cosmetic ear surgery) can alter the size, shape, and projection of your ears. Dr. Jacobson performs this procedure for patients who feel that their ears are too large, or protrude too far outward. Please feel free to give us a call or stop by if you have a question or would like to schedule an appointment.